From the political influence of conservative Christians in the United States, to the influx of Muslim immigrants in European nations, to the abuse scandals in the Catholic Church and the events of 9/11, international scholarship has placed a new emphasis on the portrayal of religions in news and entertainment media. Join us for an exploration of how we can sift fact-based reporting from sensationalism in modern-day media. 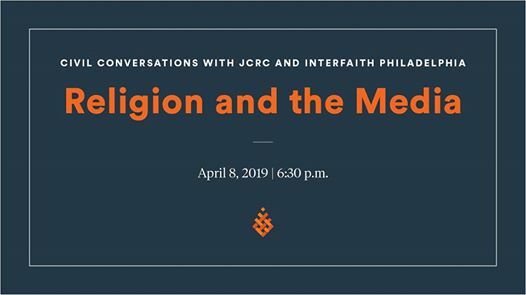 In partnership with the Interfaith Philadelphia and Klein College of Media and Communication at Temple University.